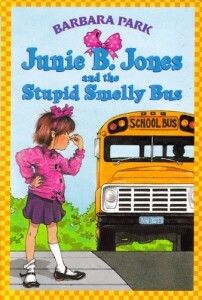 I’m about to divulge a secret that could rock the very core of children’s librarianship: I can’t stand Junie B. Jones. I know, sacrilege! I think she’s a brat, and sometimes what passes for humor is actually a little mean-spirited. This doesn’t necessarily mean I think Barbara Park is a bad writer, I just personally think Junie B is unlikable. So how about another little girl who is always getting into trouble, saying all the wrong things, and is still completely lovable? This would be Clementine, Sara Pennypacker’s endearing third grade misfit. She only has 3 books so far to Junie B’s nearly 30, and already I love her and can’t wait for another one. The differences between the two girls are subtle: both misunderstand what adults mean, both seem to have good intentions that go terribly wrong, and both feel a great sense of injustice about things that happen to them. 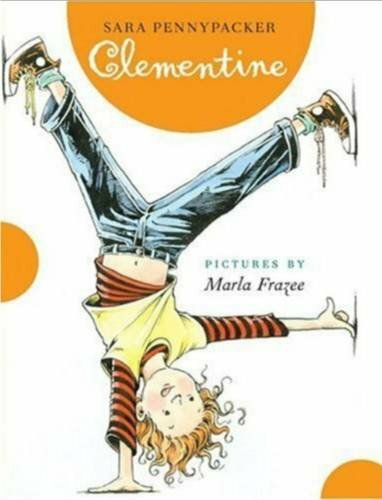 But as Clementine’s father tells her in The Talented Clementine, she is empathetic. This is a huge difference to me; maybe Junie B is too young to understand this yet, or maybe I’m just not seeing it with her character. I haven’t read all the Junie B books, honestly. Junie B’s world seems centered entirely around her. But Clementine does genuinely care about other people, and she gets into honest trouble as a result. Her heart is in the right place, and I’m not always so sure about Junie B.